If you've been patiently waiting the now over 636 days to watch Game of Thrones online since the last episode (yes it really has been that long!) then the waiting is finally over! Season 8, episode 1 is here and of course, you want to know where to go to watch the first epic episode on catch-up. It finally arrived. The first episode aired on Sunday 14 and is now available to watch on catch-up. Whether you missed the episode, couldn't wait for your early morning live streaming slot or now want to watch Game of Thrones episode 1 again, you can see all of your catch up options down below. Consider this page as the ultimate guide to watching Game of thrones season 8, episode 1, no matter where you live. We've tracked down the streaming services, costs and times for the first episode now that it has officially aired and is available on catch up - you can find a full guide for several countries down below. We would attempt to catch you up on seasons 1-7 in preparation for the new episode but considering there's 2 days, 15 hours and 30 minutes worth of content...it might take us a while. Just know, this season is going to be big! So with the first episode now available, this is the place to be for all your how to watch Game of Thrones online know-how. 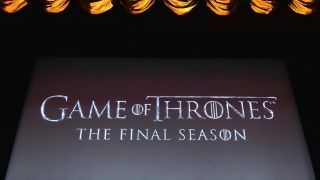 We've tracked down the locations to watch season 8, episode 1, no matter where you live - you can find them all down below and discover who is showing it absolutely free of charge. But, thanks to a little bit of working around, there is still a way to catch all the episodes while you're away. By using a VPN, you will still be able to catch up on the show by changing your IP address to a location back where you live, allowing you to watch that important first episode (assuming that doesn't breach any TS&Cs, of course) - and that's without finding some dodgy stream on Reddit. Season 8, episode 1 is now available on HBO to watch with catch up so you don't have to subject yourself to spoilers if you couldn't quite catch it live. If you're in the UK then there are two choices for the first episode: either through Sky Atlantic or via a Now TV Entertainment Pass. If you want to stay up and watch it live you'll have to go with Sky Atlantic. Unfortunately, the air time for episode one wasn't brilliant in the UK so we completely understand missing it. Luckily, the show is now available to watch via catch up on either Sky Atlantic or NowTV. Make it through the whole day without finding out the spoilers of episode 1 and you can watch the episode once again live on TV at 9pm on Monday 15. And if you're out of the country and still want to watch shows from your Sky or Now subscriptions, then you'll need to download and install a VPN as described above. The first episode aired on Sunday in Canada on Crave. Like many of the streaming services above, Crave offers the option to now watch the episode on catch-up if you missed it live. If you're trying to catch the first episode (or even the whole show) in Australia, there are only two options for you, and that's either signing up to Foxtel's cable service or the company's streaming service, Foxtel Now. The first episode is now available to watch on Foxtel's website and then episodes will air each Monday from now. New Zealand fans have SoHo to go to for season 8, episode 1 of Game of Thrones. The Sky premium entertainment channel will be the place to be, now showing the episode on the site with catch-up options. The first episode has already aired and is now available on Hotstar to catch up on. This might be the best deal you can get to watch Game of Thrones online in the UAE. Wavo has a spectacular offer for just $2.99 (AED 11) per month to watch the latest season. Each episode goes up at 5am UAE time, so you can set those alarms and get up before everyone else to enjoy a spoiler-free experience. What's more, you'll also get access to the rest of Wavo's catalog of entertainment, as well as a selection of live TV channels.